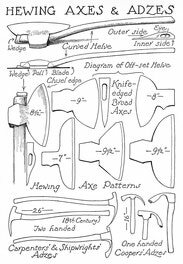 Hewing hatchets followed the shape of hewing axes, but, as indicated on the illustrations, they were of smaller dimensions. They were one-handed, their helves were shorter, and though generally bent to the outer side, some were fitted with a handle in the same axis as the eye. They were used for shaping and smoothing smaller timber, the beams and rafters of houses, the ribs of vessels, etc. The Lathing Hatchet was shaped with a flat top so as to clear the ceiling when driving the nails of the upper laths of partitions and the inside of walls. 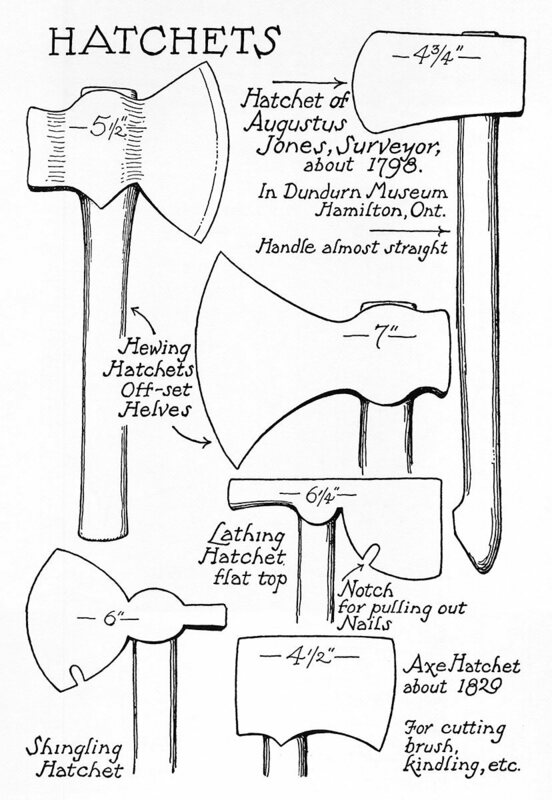 The interesting hatchet of Augustus Jones, the early surveyor of Upper Canada, was salvaged many years ago by Levi C. Green, one of the Stoney Creek Greens, to which family Scout Billy Green of 1813 fame belonged. It was formerly in the collection of the now defunct Stoney Creek Historical Society. It weighs about two pounds. It was used probably in cutting obstructing brush-wood and saplings, shaping boundary posts, and blazing trees when Jones was surveying road allowances and lining out lots. 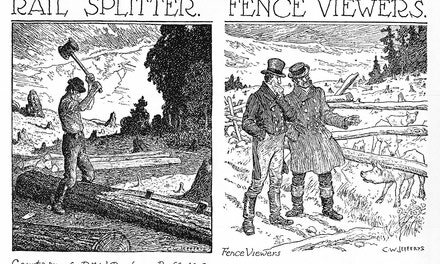 The Hewing Axe was used by lumbermen for squaring timbers for rafting and stowage in vessels, and by carpenters for smoothing beams, planks and rafters.